Bill's Seafood is familiar territory to boaters who dock their boats in some the finest marinas on the East Coast in Westbrook Connecticut. 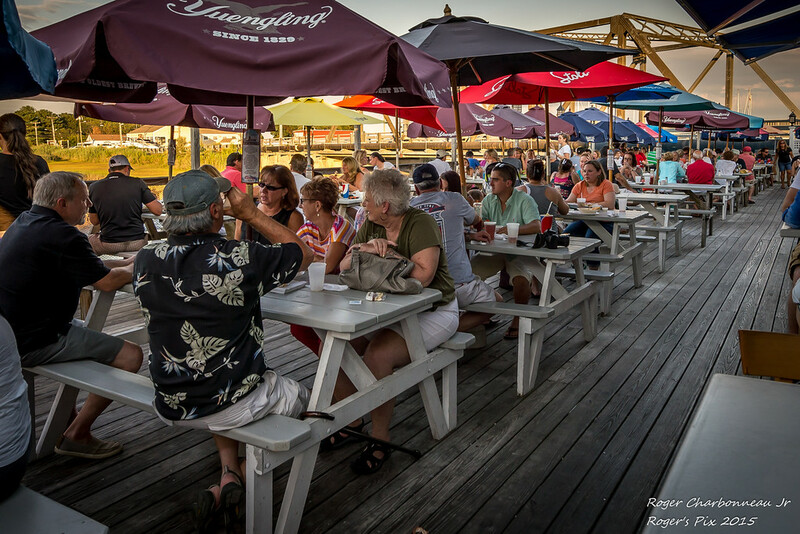 Outside picnic tables on the edge of the Patchogue River, and a center bar/dining room with a nautical kind atmosphere is the best on going party on the East Coast. When thinking of scrod, swordfish, tuna, big sweet lobsters, cherrystone clams and fried clams or our popular specials, Bill's Seafood is the place to bring your family and relax. As the Seasons change so do we. Enjoy live music six days a week year around. Bills is open year around, Daily at 11AM. Closed Christmas and Thanksgiving day. We do not take Reservations or Credit Cards. We have Two ATM’s on premise.